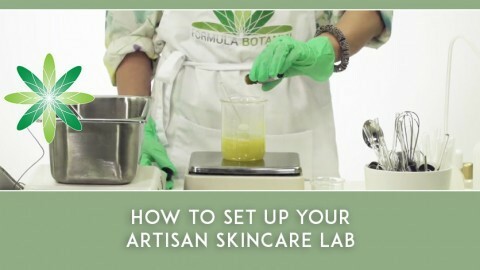 Do you make your own botanical oil macerations? As we know, it is very rewarding to prepare your own lipophilic extracts. If you’ve mastered the techniques for macerating or infusing oils, then your next question might be – which plant oil should I choose for my maceration? It is easy to become overwhelmed and confused when you look at the hundreds of botanical oils that are available. Although you can theoretically choose any oil you want, there are however certain factors you should consider before you select your botanical oil for maceration or infusion. 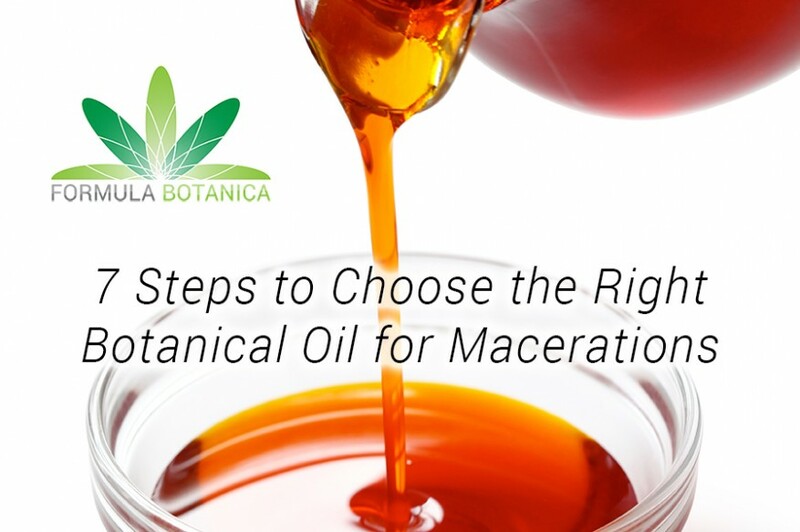 We want to share our 7 points to consider when choosing the right botanical oil for your macerations. Even if you plan to use the maceration very quickly, you still want to have a reasonable shelf life for the carrier oil, the maceration and the finished product in which you’re using the maceration. Preparing plant extracts and macerations is a delicate and time consuming task and you don’t want to invest weeks and months in preparation just to have to discard the oil after a few months. Choosing an oil with a high iodine value such as pomegranate seed oil or borage oil (apart from the relatively high price of the oils) would significantly shorten the shelf life of the maceration. Consider the shelf life of the oil you choose and make sure that it has a reasonable shelf life. 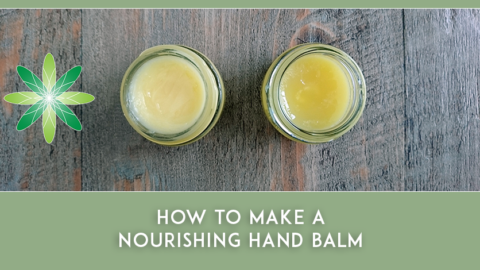 If you intend to prepare the maceration using the ‘hot process’ method, or if you plan to apply the maceration in balms, butters or hot process emulsions, then the oil needs to have reasonable thermal stability – in other words, it needs to be able to withstand being heated. It would be a great loss to oxidize your precious maceration during a heating process. 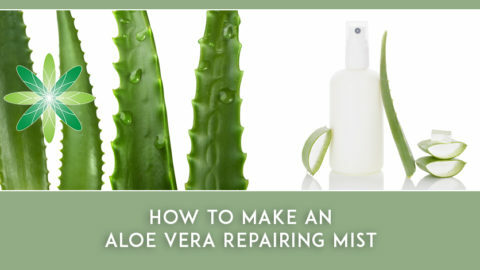 In other words, choose an oil that has good thermal stability and won’t oxidize if it goes anywhere near heat. Applying an oil with a very intensive inherent scent (such as neem oil or perilla seed oil) will limit the further application of your maceration. 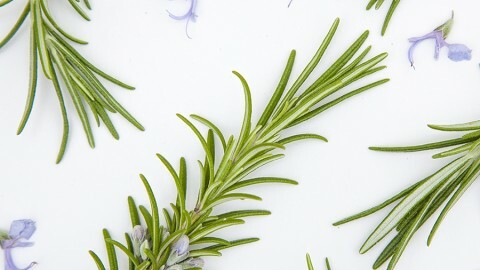 Unless you plan to apply such an oil in your formulation from the very beginning and select it intentionally, you generally want to choose a botanical oil with a mild inherent scent which won’t affect the scent of the herbal infusion – or the final product where the infusion is going to be applied. The inherent scent of the oil becomes increasingly important when you’re making an infusion mainly for the scent of the infused plants and spices (sandalwood, vanilla, cardamom, clove for instance). In such cases the carrier oil should be as neutral as possible. Make sure you choose a botanical oil that has a scent you would be happy to incorporate in your finished cosmetic product. As precious as oils such as avocado, hemp seed, acai berry or buriti oil are, they are not the best choice for making macerations and herbal extracts. Unless these botanical oils are part of your product concept from the very beginning, you don’t want to compromise the colour of your extract or your end product by choosing a carrier oil with a very intensive colour. The colour of your botanical oil for maceration is even more important if you want to benefit from both the therapeutic properties as well as the colour of the infused herbs. Imagine you’re macerating those pretty gold-orange calendula or St. John’s wort petals. What would be the outcome when you apply a green coloured oil such as avocado oil? Consider the colour of your oil when deciding on the maceration you want to make. 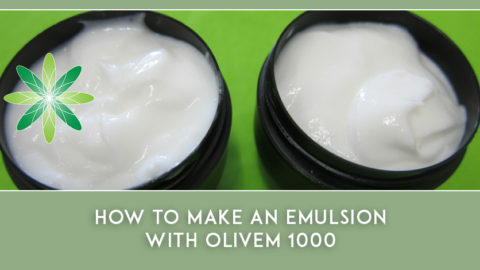 You must always consider the skin feel of your oil when deciding how to make your macerations. If you choose a high viscosity oil then you might find that it is difficult to handle and to filter the extract. It might also leave a sticky or heavy skin feel if you’re applying it at high concentrations – wheat germ oil is a great example. 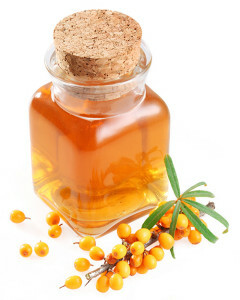 On the other hand, you might want a high viscosity oil in your product, in which case this type of botanical oil might be perfect for your product concept. 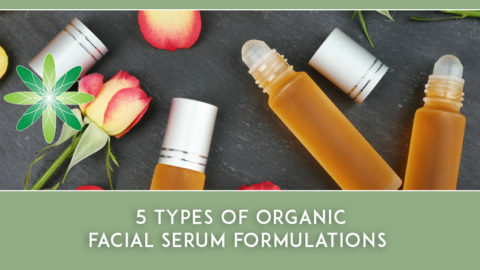 If you’re making cosmetics to sell, you should always consider the availability and price of your ingredients – and the botanical oil for your macerations is no different. Depending on your consumption and batch size, you want to have access to a carrier oil at a reasonable price. It would be of no use to choose an oil with a minimum order quantity of 50 kg when you prepare small batches of 1 kg. The price of the carrier oil has an impact on the price of the extract and your final product. 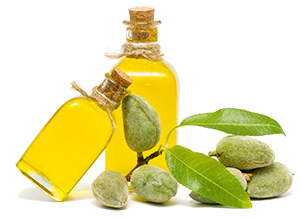 Apart from the fact that most expensive oils usually have a shorter shelf-life (unless you are making a high-end luxurious cosmetic product), you want to keep your carrier oil as affordable as possible. Unsaponifiables are components of an oil that fail to form soaps when blended with sodium hydroxide. They also impart skin beneficial properties. You will find them in high percentages in unrefined botanical oils, examples include tocopherol (Vitamin E), phytosterols, squalene, lecithin and other such precious ingredients. So make sure you consider the unsaponifiables in your product when you’re choosing the right botanical oil for maceration. They will enhance the therapeutic properties and dermatological benefits of the macerated herbs. 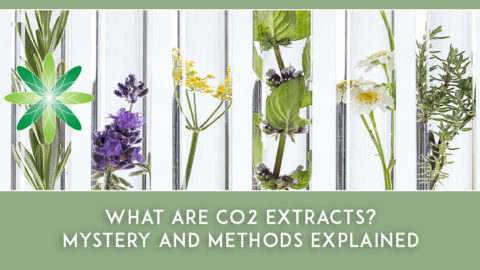 We will be following up on this blog post in the coming week with an article on our 8 favourite oils for making botanical oil infusions and lipophilic extracts. Stay tuned and make sure you are subscribed to our newsletter to receive all the latest blog posts and information.